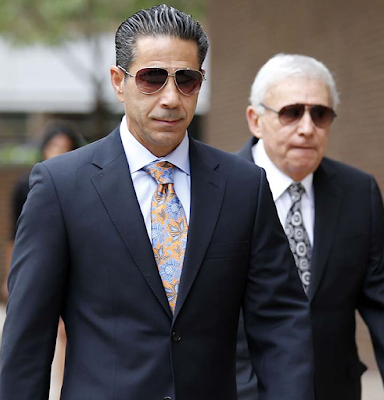 Accused Philadelphia mob boss Joseph “Skinny Joey” Merlino — whose trial was slated to start today in Manhattan Federal Court — remains in Florida recuperating from a heart ailment. Merlino went to a Boca Raton hospital emergency room suffering from “chest pains and coronary spasms and shortness of breath,” one of his lawyers said. Merlino, 55, has reportedly survived more than a dozen attempted hits and beat three murder raps. 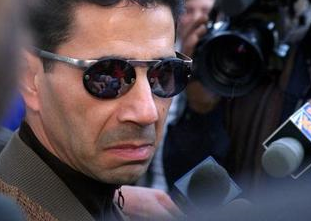 The gangster’s doctor said Merlino is on medication and needs to be under “close observation". Hospital tests had “abnormal” results and “revealed two ‘significant’ blockages” said Merlino’s attorney Edwin Jacobs. Merlino was supposed to be tried with Genovese capo Eugene “Rooster” Onofrio, who has also got a health related delay. Last month, the presiding judge separated the cases because of Onofrio’s “need for medical treatment.” The trial of 75-year-old Onofrio is now “adjourned indefinitely” court papers say.